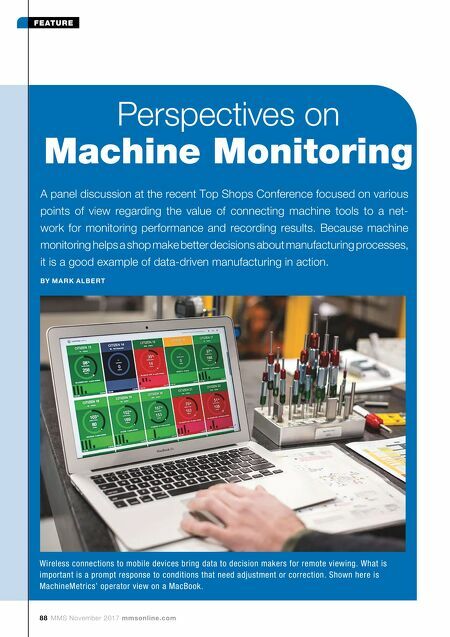 88 MMS November 2017 mmsonline.com FEATURE Perspectives on Machine Monitoring A panel discussion at the recent Top Shops Conference focused on various points of view regarding the value of connecting machine tools to a net- work for monitoring performance and recording results. 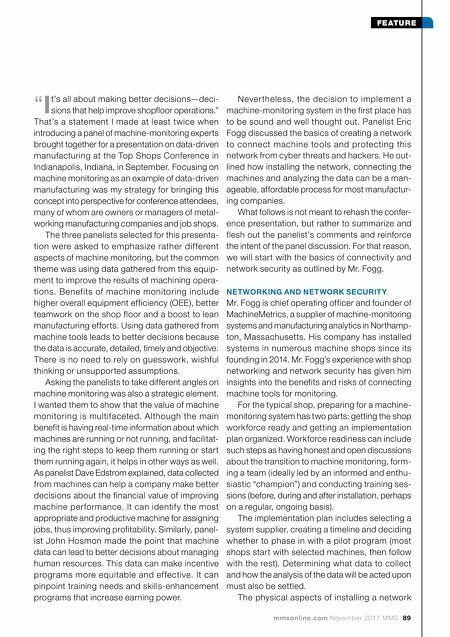 Because machine monitoring helps a shop make better decisions about manufacturing processes, it is a good example of data-driven manufacturing in action. BY M A R K A LB E RT Wireless connections to mobile devices bring data to decision makers for remote viewing. What is important is a prompt response to conditions that need adjustment or correction. Shown here is MachineMetrics' operator view on a MacBook.